In recent years, we have become used to huge snowstorms in the winter and droughts in the summer. However, Warner Service wants you to know that even if there is no drought this year, water conservation is still a major issue for both the environment and your energy bill. By conserving water and using it more efficiently, you can help the area around you and save money on your utilities. Follow these 5 steps to conserve water and start feeling the savings today! One of the easiest ways to immediately feel improvements with your everyday water use is by upgrading your showerhead. 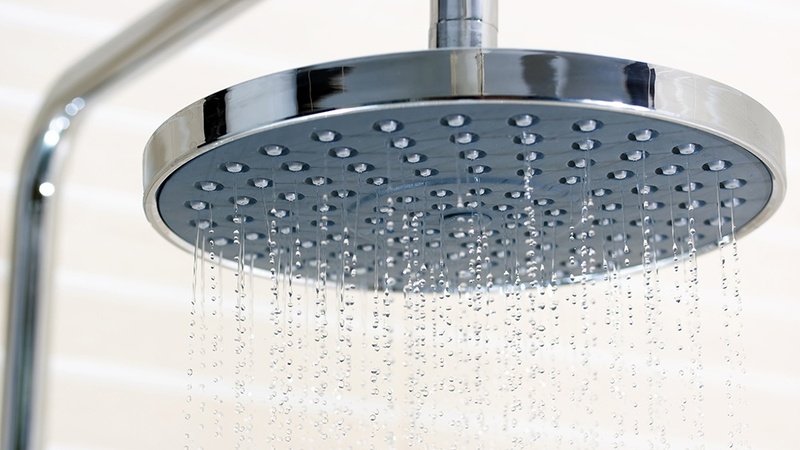 Newer low-flow showerheads not only use less water, but also add pressure to the water in your shower. The result is less water usage (which also increases the duration of the hot water in your shower, in addition to lowering your bills) and a more comfortable shower. It’s a double win! Plus, by using a low-flow showerhead, you can save 15 gallons of water for every 10 minutes you’re in the shower. This might sound strange, but you actually use less water when using a dishwasher than when you hand wash dishes. In addition, modern dishwashers, especially those that are Energy-Star Certified use very small amounts of energy to run. The average Energy Star dishwasher uses 4 gallons of water per load (the non-Energy Star average is 6 gallons) whereas it takes about 20 gallons on average to hand wash dishes. If you do not have a dishwasher, but do have a double sink, fill one side with water for washing and use the other side of the sink to rinse you dishes to minimize water usage. This step may be even less expected than the last, but your toilet is a heavy contributor to your water footprint. Modern toilets use much less water than their older counterparts, but there are also many ways to optimize the toilet in your home. First and foremost, eliminate the water that you aren’t using: leaks. By fixing the piping behind your toilet to eliminate leaks, you can save an estimated 10 gallons per day of water that would’ve been wasted. Second, optimize the tank in your toilet. The average flush uses 3.5 gallons of water. By displacing the water in your tank (making it think more water is inside) using something dense like a brick, you can save up to half of the water used per flush. Next, think about how you do your laundry. The average top-loading washing machine uses 40 gallons per load. One way to combat this may be to upgrade to a side loading and/or Energy Star certified washer, which on average uses only 20 gallons per load. However, if this is not possible in your home, simply ensure that you are using your washer’s settings properly to save water on smaller loads. If you are fortunate enough to have a pool, you know how expensive it can be to refill it when you lose too much water. By covering your pool, you keep hundreds of gallons of water in your pool safe from evaporation. This means you won’t be spending so much money to refill your pool, and as an added bonus, your pool will also naturally heat more efficiently. Finally, the number one tip to save you money and water is by keeping your home plumbing maintained. The last thing you want is to come home one day and a pipe has burst in your home.